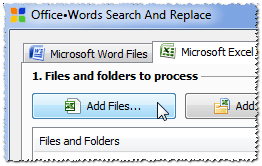 This topic presents the detailed step-by-step instructions how to update text in many Microsoft Excel files. 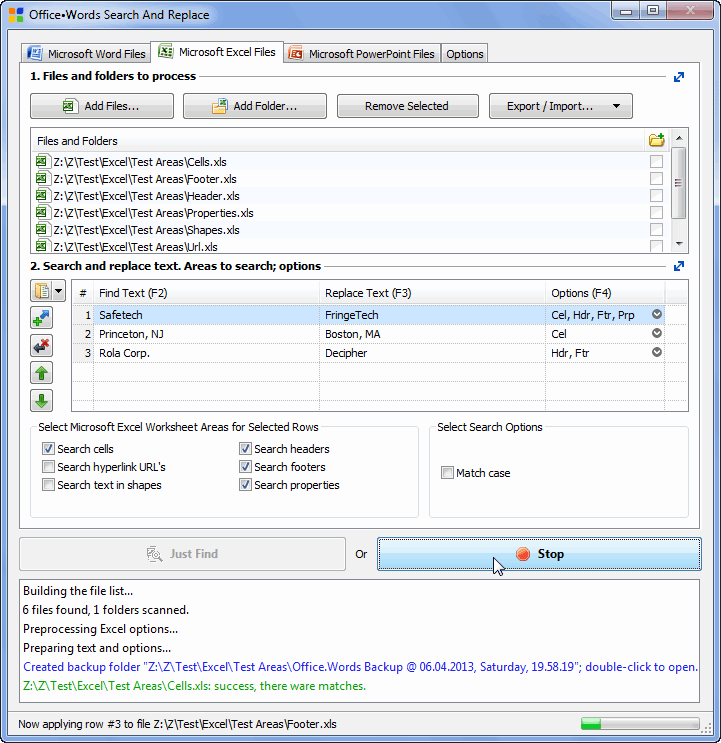 Select the Microsoft Excel Files tab. Now set the find and replace strings. Assume your company is being renamed from Safetech to FringeTech, and you're moving from Princeton, NJ to Boston, MA. 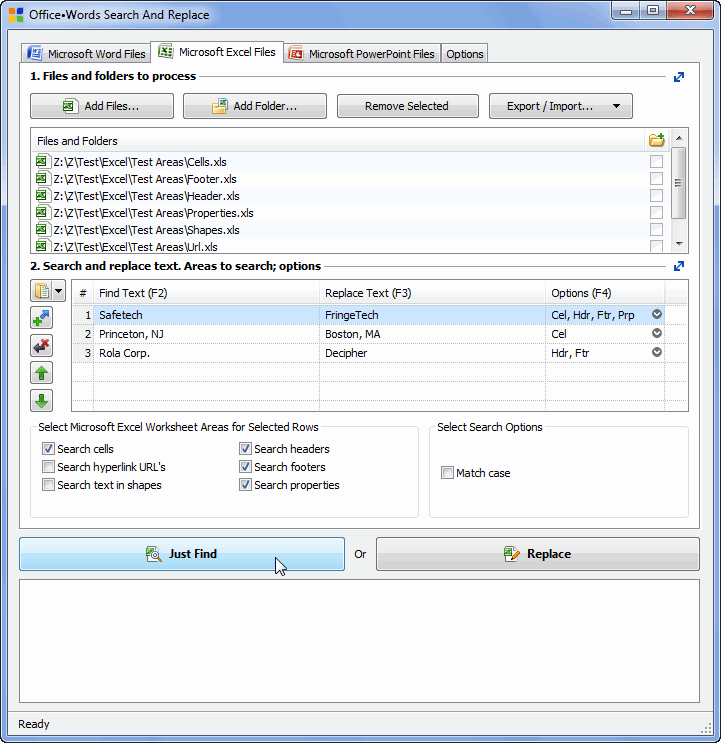 To select areas in which the text of the current row will be searched for, you can click the third cell (in the Options column): Here, we have selected to search in the worksheet cells, printing header and footer, and the document properties. Notice that you can change the search areas for more than one text row at a time: just select the rows and use the checkboxes in Select Microsoft Excel Worksheet Areas for Selected Rows group.